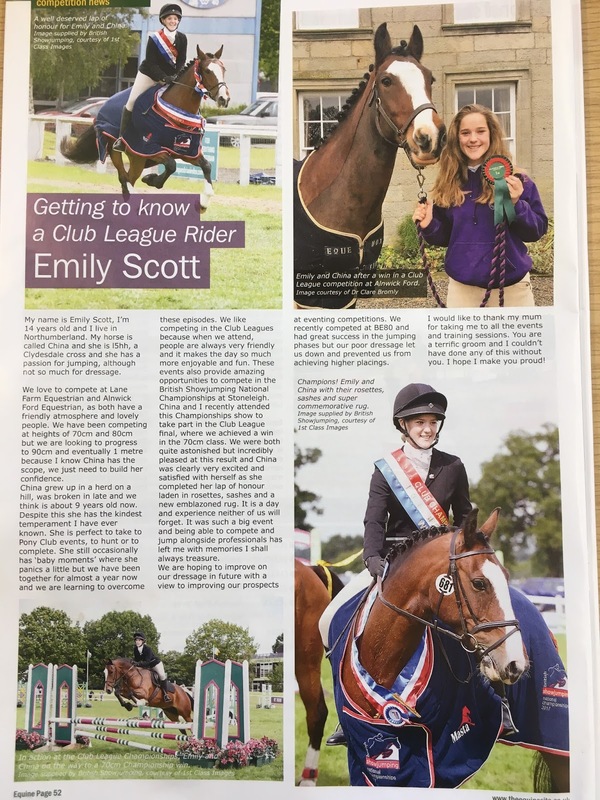 Emily has been a member of BS Club for 3 consecutive years and has qualified for the National Championships at Stoneleigh each year…what a great achievement!! 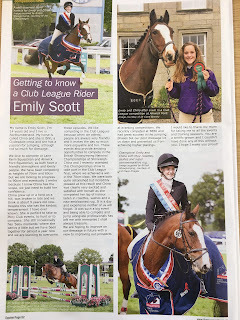 Emily fought off stiff competition and was crowned 70cm National Club Champion at this year’s National Championship. Below Emily describes to you the pleasure BS Club has brought to her and beloved horse China. This could be you next year competing at the National Championships at Stoneleigh. Join BS Club for £30, gain points by competing at Lane Farm’s Show Jumping Sunday (2nd Sunday of every month) and qualify for the National Championships in August. This really is a great opportunity for local riders competing at 70cm – 1m. What are you waiting for… pick up your Club Membership form from LFE today or call BS Office – 02476696685. If you have any questions regarding BS Club come speak to us or contact British Showjumping. We look forward to seeing you all this Sunday for more great jumping!